My son Nivedh who is presently 21months old, has been diagnosed with bilateral profound hearing loss. He has been advised for bilateral implant for regaining his hearing capability. Cochlear implant is a sophisticated ear surgery unlike hearing aids which made sounds louder.. Cochlea implant by pass the damaged hair cells of the inner ear (cochlear) to provide sound signals to the brain. The cost of this surgery is huge. I have got the 1st implant done in his right ear. Name of the implant is CI 24 RE(ST) + CP 802 = 5.80 lacs. I am from Lucknow and have got the surgery done at javitri hospital by Dr Isha Tyagi on 20th April'17 . 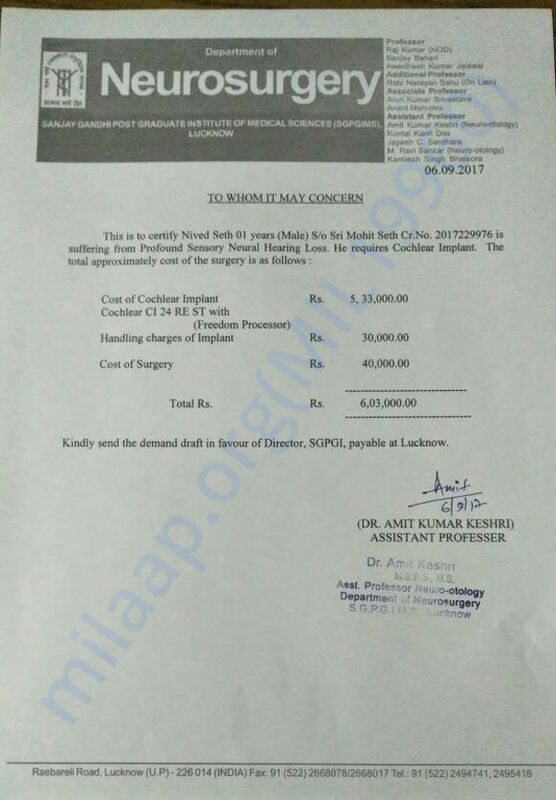 Surgery cost was rs 60000.
am planning for the next implant within an year.. Want to give a better life to my son the second implant will be the same one but due to shortage of funds I have taken estimate from the government hospital. I am attaching a copy of it. 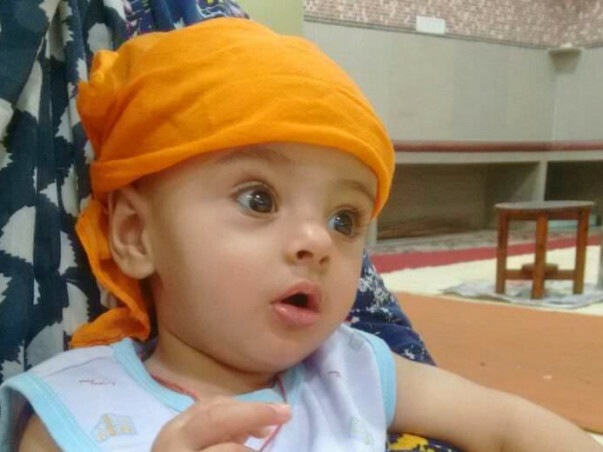 I would request all of you to help in any way you can to see that my little prince gets his hearing ability back. Surgery has to be done as soon as possible. Even a smallest contribution you make will mean a lot to him. Nievdh is moving closer to his second implant and the date for operation has been decided for 8th February'18. As the process we have got his Audio-metri test done in which the report say that his condition is " severe to profound " and recommendations are to get the operation done ASAP. Through this operation Nivedh would be able to hear. Thank you all for the love and support shown towards him. Here is an update on Nivedh. Nivedh is undergoing therapy at home. He has started verbalizing and locating sounds from a close distance. Doctors have advised for his left ear implantation. Implantation will help him to differentiate the sound he hears and also enhance his verbal skills. Nivedh is at home and is doing well. He has undergone implantation in his right ear. Currently, he is undergoing speech therapy and has started responding to the therapies. His left ear implantation will be scheduled on arranging the funds.